I’m totally in love with the idea of a gallery wall in your home. It’s an easy way to display your memories, inspirational words, pictures you love and anything else you might like…. all in one place, all at your sight. 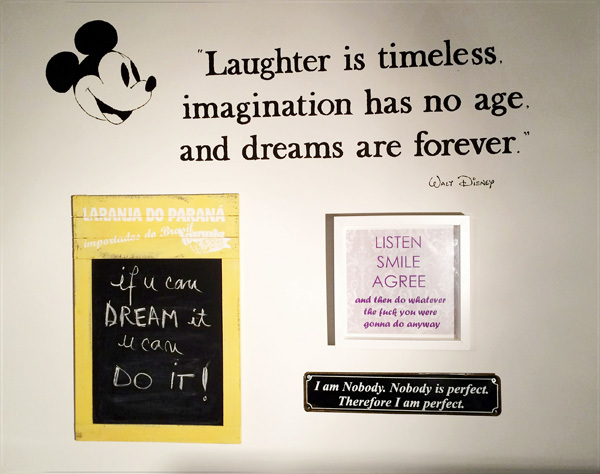 Mickey ‘s face and the Walt Disney quote are my husband’s favorites, so that one was a present from me (I painted that while he was away on a business trip); it was the starting point of our gallery wall. The chalkboard was a must for me and I usually display my favorite quotes…. The idea was to display inspirational quotes in different ways. On the other side of the wall we have pictures of our family and friends. Plus, it gives great character to your home, it becomes a focal point in the room, and somehow your house becomes even more a HOME. 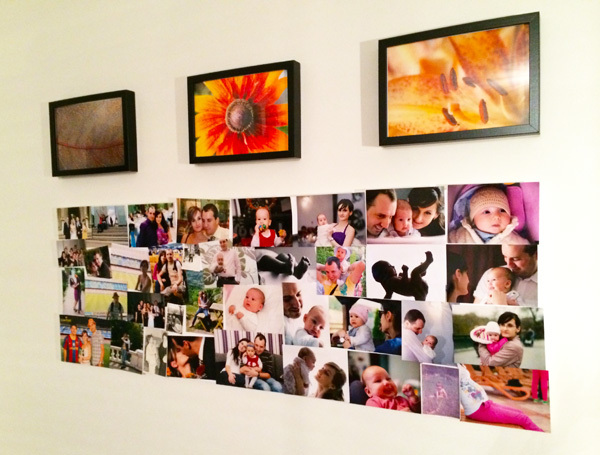 There are many ways to create a gallery wall, and I think you will find this article useful. I also love the idea of monograms of the family members, or an important date in your life… I’m sure that Raluca from Pretty Baby Names could help you with those. So, darlings, if you haven’t done one yet, I hope that I’ve convinced you about this relatively cheap, but oh so beautiful way of decorating your home.